Location Location Location! This home has been remodeled and updated, has a FABULOUS floor plan for a vacation home or multi generations! Great use of space with separation of bedrooms. So much fun to be had here with the spa,steps from the bay, beaches and shops! 2-car garage with an additional parking spot – Yes, 3 valuable spaces. HUGE View deck of ocean, bay, city lights – This is a great property! 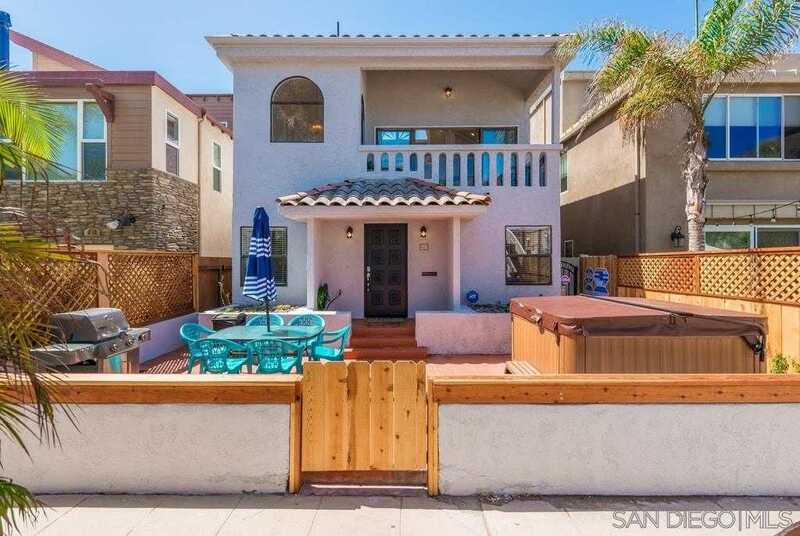 Please, send me more information on this property: MLS# 190019754 – $2,288,000 – 809 Deal Ct, San Diego, CA 92109. I would like to schedule a private showing for this property: MLS# 190019754 – $2,288,000 – 809 Deal Ct, San Diego, CA 92109.